When you hear me talking about faxes, you’re imagining yellowed thermal paper and a loud old fax machine. These days, fax is far from what it used to be. To send a fax you need a few things: a computer, internet access, an email address and a FaxFX membership. With these things, you can send and receive faxes all over the world. So you’re wondering how exactly this online faxing thing works. Don’t stress, because it is far simpler than the traditional method. You no longer need ink, paper, or even a fax machine. With a computer, you can do it all. 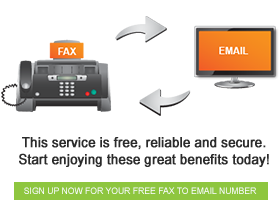 Once you have signed up with FaxFX you will receive a fax number. This is essentially the same as a cellphone number, and can be used for all of your online faxing. You can send any documents, provided they are in the right format. To ensure that they are in the correct format you will need to download a handy piece of software called the FaxFX Fax Printer. With this on your computer, you can easily convert documents and fax them right away. I’m sure you remember the ridiculous speed at which traditional faxes were sent. The paper used to moan and groan its way through the machine. With online fax, you don’t need to give paper a second thought. It’s all online! It’s a simple as: print, print-to-fax, enter the number, and off it goes! FaxFX is here to simplify your online faxing. If you get stuck, our experienced support team are here to do everything we can to sort out your problem.